The Indian Government announced a project by the Archaeological Survey of India to help preserve the My Son Sanctuary. 07 July 2007 (Viet Nam News) – Vietnam and India have penned a joint declaration of a strategic partnership; while the partnership is centred around building close bilateral relations in the areas of economy, politics and technology, there is also a small mention about the survey of the Archaeological Survey of India in India and the restoration of Cham monuments. Viet Nam and India have agreed to establish a new strategic partnership as part of relations, according to a joint declaration signed in New Delhi yesterday during Prime Minister Nguyen Tan Dungâ€™s State visit to India from that ended yesterday. In the agreement, Prime Minister Dung and Indian Prime Minister Manmohan Singh stated that India-Viet Nam relations had been extremely friendly and cordial since the foundations were laid by President Ho Chi Minh and Prime Minister Nehru more than 50 years ago. They also mentioned satisfactory results during an earlier meeting in the Philippines this past January 2007 regarding the ASEAN Summit. Both leaders noted with satisfaction the expansion of bilateral co-operation in the fields of culture, education and human resource development. 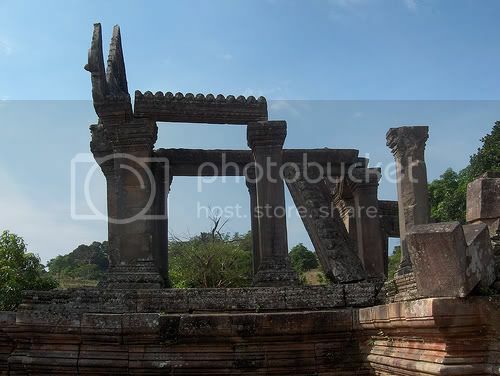 The two sides also agreed to expedite a survey by a team of specialists from the Archaeological Survey of India and take its advice regarding the restoration of the Cham monuments in Viet Nam. 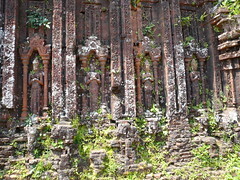 The Vietnamese side welcomed Indiaâ€™s contribution to the restoration project. Read more about the joint partnership between Vietnam and India.